Captured in the front of the building next to Dean Davis’ studio, the man pictured is seen here nearly every day. 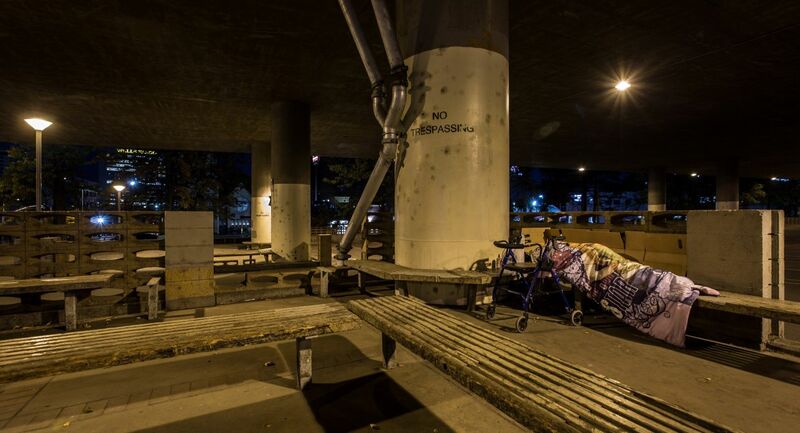 Under the freeway in the very early morning, these benches offer a place off the ground to sleep. This garbage enclosure behind an old Chinese buffet offers a bit of protection from the wind. Not so much from the rain. 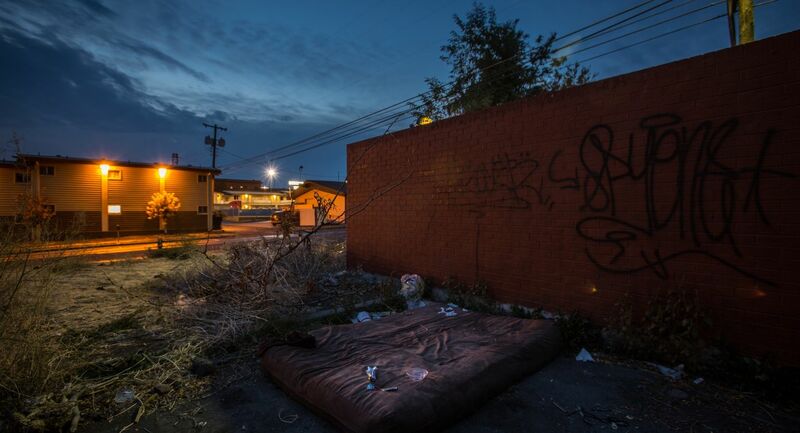 This mattress, while filthy, offers a softer surface to sleep on than the nearby pavement. 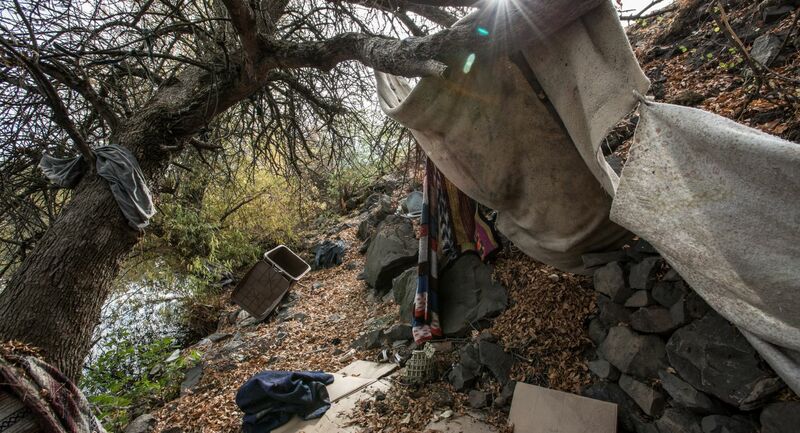 One of many encampments found along the river. These camps are built in hard-to-reach places. Encampment along the river in daylight. Camp located near and under the iconic Monroe Street Bridge. This place is difficult to access in daylight. In the dark, it is tough to imagine how one is able to find their way. 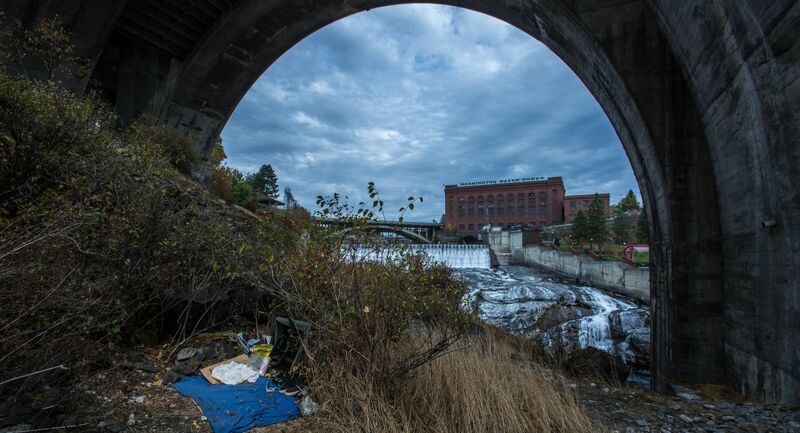 As Hotel RL expanded into Spokane, so did Project Wake Up Call. 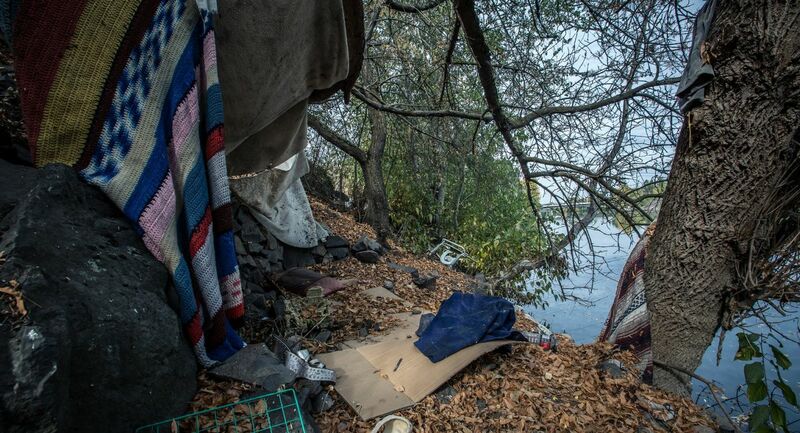 Photographer Dean Davis captured the daily life of the homeless in Spokane. 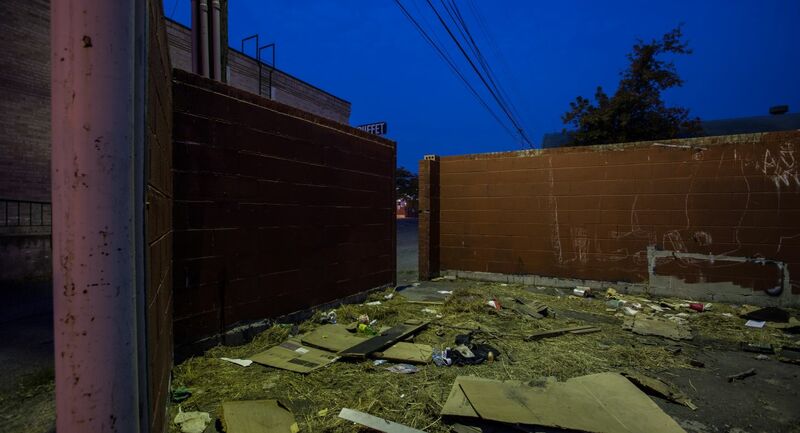 While you view his photos, consider donating to local charity Blessings Under The Bridge. 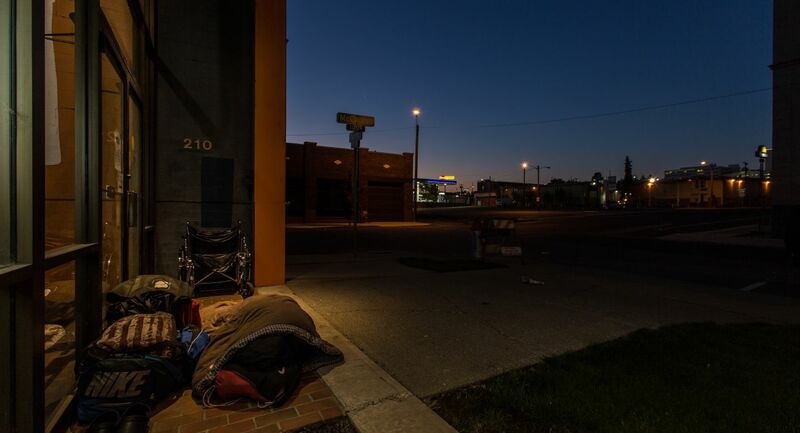 This organization restores hope, purpose, and dignity to the lives of those lost on the streets, having served over 100,000 meals under an I-90 overpass in Spokane since 2007.